Cydia Download for any iPhone, iPad or iPod Touch instantly. User-friendly step by step guidance with iNstantJB premium support. 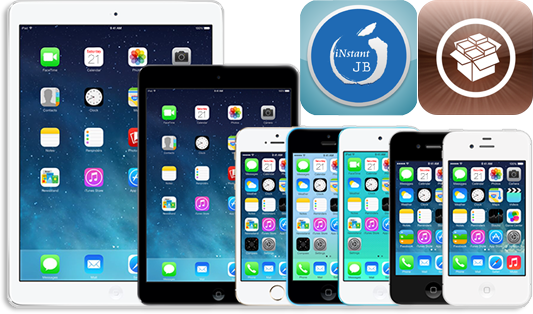 iNstantJB supported with iOS 7.x.x, 8.0.x, 8.1.x, 8.2, 8.3, 8.4, 9.0, 9.0.1, 9.0.2, 9.1, 9.2, 9.2.1 & 9.3 – 9.3.2, 9.3.3, 9.3.4, 9.3.5, 10.0.1, 10.0.2, 10.1, 10.1.1, 10.2.1, 10.3, 10.3.1, 10.3.2, 11, 12, 12.1, 12.1.1, 12.1.2, 12.1.3 and 12.2 Also supported any device including latest iPhone XS Max, XS, XR, X, iPhone8 & 8 Plus, 7 & 7 Plus, iPhone SE, iPhone 6s, 6s plus and 6, 6 plus, 5s, 5C, 5, 4s, 4 and iPad Pro, iPad 2, iPad Air, iPad mini 4, iPad mini 2 and All iPods. Once you made the payment, do not close the browser. It will automatically redirect to the iNstantJB Premium Membership registration process. Please note* After registered as a Premium Member, you do not want To Set Your Password again through our user login info email.